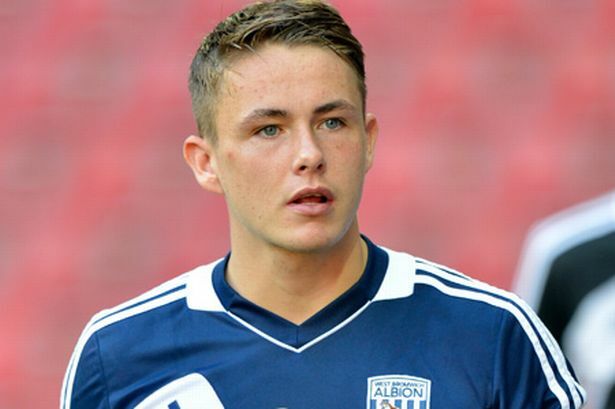 A West Bromwich Albion footballer is facing questioning after his car collided with a pedestrian who was critically injured. The 53-year-old man remains in hospital following the incident involving midfielder Scott Allan in Portsmouth on Friday evening. Allan, who is on loan to Portsmouth, has not been arrested over the collision and police are appealing for witnesses to come forward. The 20-year-old played the next day in the FA Cup first round defeat to Notts County where he was sent off. Hampshire police said the incident occurred in Waverley Road, Southsea at 8.50pm and involved an Audi Q7 4x4 driven by a 20-year-old man from Glasgow and the local pedestrian. The pedestrian was taken to Queen Alexandra Hospital in Cosham before being transferred to Southampton General Hospital where he remains. Allan was uninjured in the collision. The road was closed for two hours while collision investigators examined the scene, a police spokeswoman said. Officers are now appealing for anyone who may have seen the collision or either party shortly prior to it, to contact Fratton Roads Policing Unit on 101, quoting Operation Finch.